Leverage our QA & Testing expertise. Today, revenue worth trillions depends on the aviation industry. However, considering the rising costs lead to a fall in demand, it is only with an indomitable will to change the way an organization thinks that it can sustain and prosper. The change required is to become Agile; to become more accommodating and flexible to meet the ever-increasing customer expectations, technology upgrades, & unpredictable business environments. 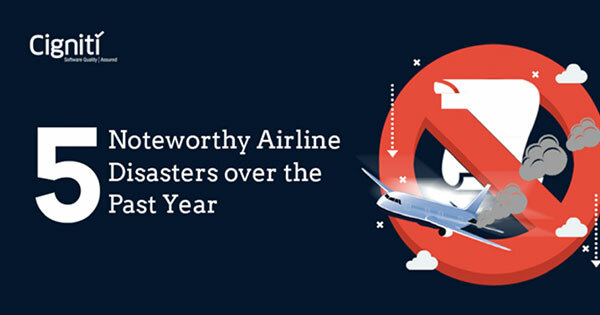 Cost pressure:Fierce competition among national airlines, charter companies and low-cost, cheap carriers is resulting in constant and extreme cost reduction pressure on all areas of airline operations to improve operational efficiency. Systems safety and performance: Both safety and security still remain the most important challenge for the industry and must not be compromised. Guarantee of Security & Safety in the air is paramount. Innovation and updates:To provide more advanced services/idea on developed application, Research and innovation in the use of Data Analytics and Plane designs. The need to drive digital sales: Increasing consumer expectations and growing focus on customer experience makes digital sales a must-to-be-performed activity. 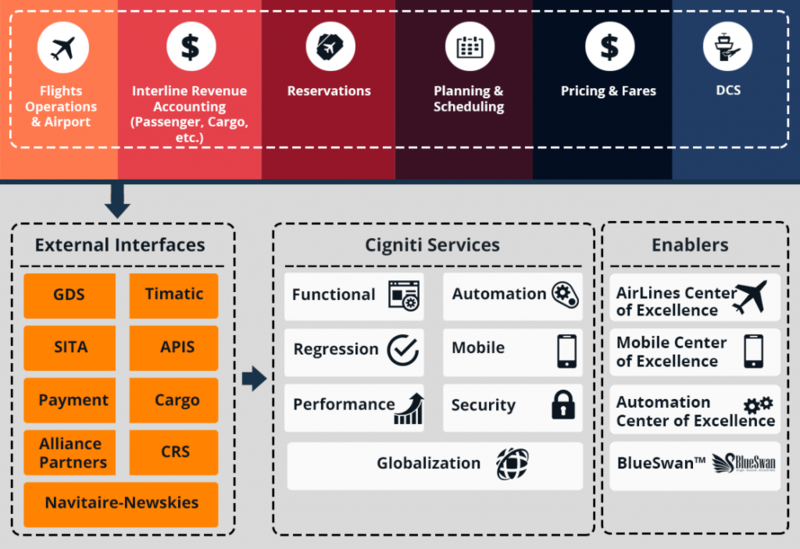 This requires continuous investment on process improvement, improving efficiency of in-flight connectivity, and Bringing airports and airlines into the 21st century. Identification of configuration issue and design tests to check them:Configuration issues, in which inconsistent versions of components are used to realize a system is a ripe area for problems. Development of invalid input tests:Invalid inputs are an extremely fertile area for security testing. Simple invalid input attacks are responsible for a great many security breaches. Every time a system collects data from its environment, the data can violate assumptions about its size or content. Development of misuse cases, identification of assumptions and then devising test cases that violate them: Use cases are a common modeling tool that enumerate expected usage of the software, typically during the requirements analysis phase. Misuse cases are the same, except they explore unintended usage. The requirements phase is the ideal time to consider such scenarios since it is the correct place to eliminate or mitigate them. Even after misuse case analysis, assumptions of varying plausibility will be left over. Testing these can be extremely productive. Cigniti looks at its projects as business enablers that can reduce costs in both Manual and Automation testing having domain expertise in the below mentioned areas. It helps to reach and engage customers for all modules related to the Airline Domain. We have staff experienced in managing several advanced airline IT solutions such as new generation Airlines Passenger solutions, Airlines Revenue Accounting, Airlines booking, ecommerce website, and Mobile Apps for different platforms, etc. Testing process and phases vary by development methodologies. However, Cigniti has a customized, standard process irrespective of the methodology being used. Create test scenarios, incorporate feedback, create and execute test cases, log defects in the defect tracking tool, validate defects, retest, retest fixed defects in corresponding build/s. Accountable QA/SQA Engineer available for the mentioned tasks. Review requirements, review test scenarios and create traceability matrix verified by the SME/Business Analyst before processing further. Review test cases, create testing reports and triage defects are taken care of by the QA Lead/Manager. Internal and external Audit on a monthly basis to avoid the gap in process. CoE for Functional Testing: End-to-end testing with a focus on Business Process Testing. Cigniti has Airline domain expertise in all modules like Interline accounting, Ticketing, Departure control etc. it helps us in Challenges like Cost pressure, Innovation and updates, Assumptions identification, Configuration issues and invalid inputs tests. 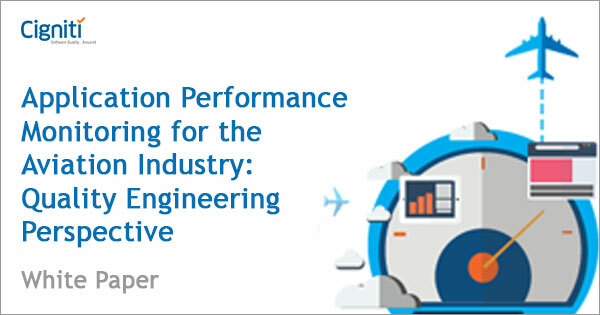 CoE for Performance Testing: Ensuring stability & responsiveness of the system under heavy workload. CoE for Security Testing: Ensuring Confidentiality, Integrity, Authentication, Availability, Authorization & non – repudiation. CoE for Mobility Testing: Accelerated mobile testing to ensure adaptability and agility. 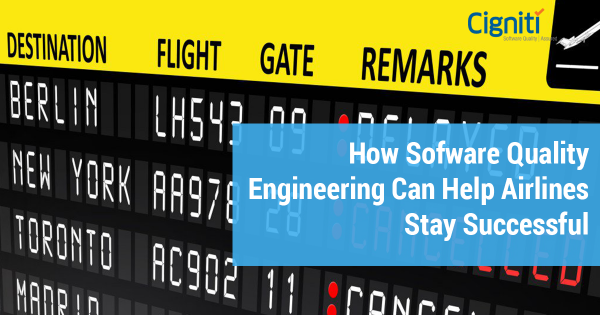 These extensive areas help us provide full-fledged support for External Interfaces related to the Aviation industry such as GDS, Timatic, SITA, APIS, Payment, Cargo, etc. Communication & Collaboration: Collocated team to manage distributed agile environment. “Time Zone Matrix” to plan scrum meetings supporting global delivery model. Usage of unified communication protocol for effective communication and transparency. Done Criteria: Done Criteria is set for all the user stories and cross-checked for adherence before signing-off. It is one of the most critical checkpoints of an agile project. Digitization assistance reduces operating costs: Proper testing ensures reduced downtime and greatly improves performance, driving down costs while also bolstering passenger satisfaction through more frequent on-time arrivals and departures. The benefits of greater customer knowledge and, hence, intimacy help provide an improved passenger experience. We help cut the fat, not the muscle. Our CoE helps airlines analyze and identify the areas where expenses can be reduced. These might be the areas not relevant to safety, reputation, or branding.